MBOX to Outlook email migration requires MBOX file conversion as the file can not be imported into MS Outlook directly. To perform data migration from Thunderbird or any MBOX supported mail client to MS Outlook, this MBOX converter tool can be used for both Mac & Windows platforms. 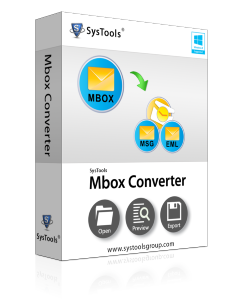 Convert and Import MBOX to Outlook 2013, 2010, 2007 & 2003 etc. MBOX to PST converter supports Windows 8.1/8 and below version and for Mac OS X 10.10(Yosemite) and above versions. When you add and open MBOX file the software scans MBOX file before exporting so that corrupted files can also be retrieved and exported as well. The tool transfer MBOX to Outlook after scanning. Migrate MBOX to Outlook for Mac & Windows with the option to export selected MBOX files and folder, that means you can select the desired MBOX file, which you want to export. No need to save extra mails. When Windows & Mac MBOX to PST Converter exporting MBOX file to PST, the software asks to make separate PST file for each MBOX folder. At that time, user can select the option and get separate PST file for each folder. When MBOX to Outlook PST Converter for Mac & Windows convert MBOX file to PST, it will ask to save MBOX folder in a single PST. If user want a single PST file for MBOX file then they can select this option that will combine all them to a PST file. The product has export as EML,MSG,& NSF functions for Windows and export as EML,HTML & PDF for Mac so that MBOX files can be exported into other file formats as well. Export MBOX to Outlook for Mac converts MBOX emails in bulk without affecting their internal formatting. MBOX Converter software is so advanced and flexible that user can Switch View, Means the tool has two types of view (1) Vertical View and (2) Horizontal View. User can change the tool's View according to their ease. Migrate MBOX to PST with naming convention function to save as MSG & EML options for Mac & Windows . Choose suitable naming pattern to save each email. The naming formats are: subject, DD-MM-YY, MM-DD-YY, MD5, Auto incremental and many more. 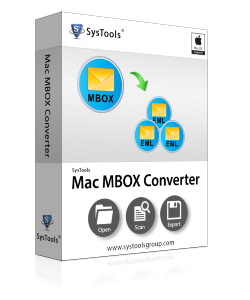 MBOX to Outlook Converter for Mac & Windows exports both files mbox without extension & .mbox with extension supported by several emails clients: Thunderbird, AppleMail, Entourage, Eudora, PocoMail, Postbox, Spicebird, SeaMonkey, Evolution, Claws Mail, Mulberry, Netscape etc. Is installation of MS Outlook is needed on my machine? Yes, MS Outlook should be installed & configured in order to import MBOX to Outlook PST. Does this software works with Outlook 2007? Is it possible to create separate PST per MBOX file? Yes, the software allows you to create separate PST per MBOX file and single PST for selected MBOX files. I am using GyazMail MBOX file; Can I export it to Outlook? Yes, the tool export all .mbox extensions file supported by any email-client. Will I get any technical support, if I faced any difficulty while carry out the conversion? Yes, the technical support is available to serve you for 24*7 for any assistance regarding MBOX to Outlook Converter for Mac & Windows. How can I purchase the full version of the tool? Users to need click on "Buy Link" to purchase the full version and you will get the activation key either through email or chat. MBOX is a type of a file extension used for managing and collaborating messaging platform. It stands for "Mailbox". All the messages for each mailbox are stored as a single, long e-mail messages, starting with the "From" header of the message. MBOX files were used mostly on Unix. MBOX files are used with several e-mail clients like: Mozilla Thunderbird, Microsoft Entourage, PocoMail and Qualcomm Eudora etc. MS Outlook is a personal information manager, which is available as a part of Microsoft Office Suite. The latest edition of Outlook for Windows OS is Microsoft Outlook 2013 and for Mac is Microsoft Outlook 2011. It is stand–alone application and can also works with SharePoint Server as well as MS Exchange Server. Outlook is software that lets you not only send, receive, and manage e-mail, but also manages calendar, contacts, Tasks and as well as web browsing etc. Moreover, you can also share your calendar with others via Internet. Why & How to export MBOX File to MS Outlook? It is easily possible for the users to access .pst files. Therefore it is recommended to keep the backup of GroupWise Mailboxes into Outlook PST file format. For using MS Outlook, user does not require any technical knowledge. However to use MBOX it is important to have technical knowledge in order to access it without any hitches. There can be various hindrances while transfer MBOX to Outlook PST file format. While exporting the mailboxes to PST, all email properties as well as other credentials remains unaltered. Complete data with the availability of other Two files formats MSG and EML will be accessible in MS Outlook without any alteration. 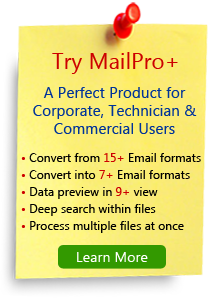 Convert MBOX to PST, the internal structure as well as hierarchy of the Mailboxes remains consistent in Microsoft Outlook. The tool keeps email formatting as well as original and no dummy emails will be created during the conversion process. The software saves all mail folders of MBOX file to an Outlook data file (.pst) that can be imported into Outlook 2013, 2010 and other all older editions. Excellent solution to Convert MBOX to PST for Mac & Windows. The tool support more than 20 desktop email clients and allow converting multiple MBOX to Outlook at once that make it more reliable. I just want to say a big thanks to the entire team for offering such helpful application.